Two Egg, Jackson County, FL. 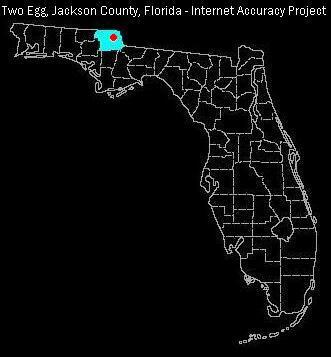 The tiny community of Two Egg is located in northeastern Jackson County in the panhandle of Northwest Florida. Found just a couple of miles northwest of Dellwood on Hwy. 69, Two Egg, Florida's major claim to fame is its curious name. Two Egg T-shirts are a popular tourist item, with the Two Egg town sign being one of the most popular illegal "souvenirs" taken home by visitors. Most of the area's early settlers agree that Two Egg, Florida received its whimsical name as a result of the common practice poor residents had of trading eggs for goods at a local general store. 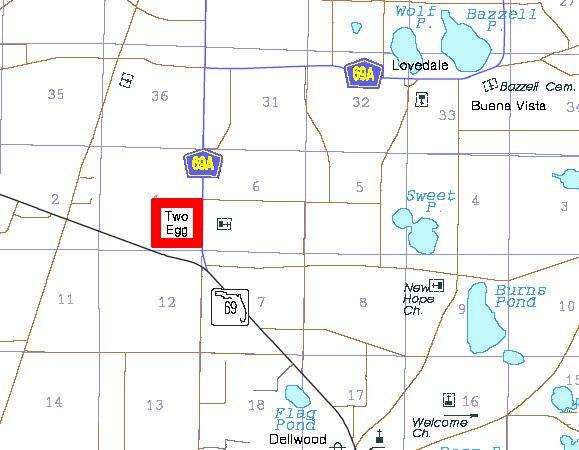 This "two-egg" bartering thus lent its name to the community after a traveling salesman noted the routine during a sales call to the store. 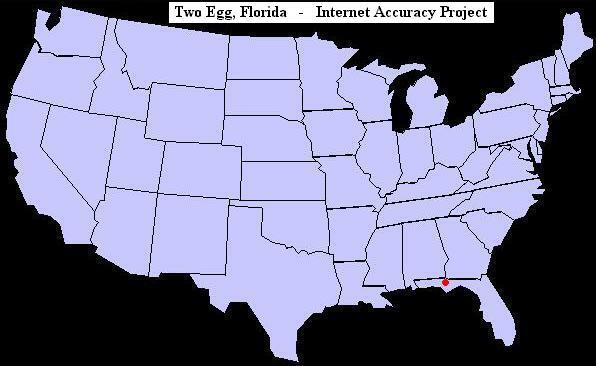 Time Zone: Two Egg, Florida is in the Central Time Zone. Camping, fishing, hunting, hiking, bicycling, boating, kayaking, canoeing, water-skiing, diving, picnicking, horseback riding, photography, bird watching, wildlife viewing and golfing. Alligator, deer, coyote, raccoon, opossum, skunk, beaver, squirrel, bobcat, rabbit, fox, otter, wild hog, bear, snapping turtle, turkey, goose, owl, hawk, warbler, thrush, vireo, flycatcher, woodpecker, heron, egret, tanager and eagle. Anglers will find a variety of fish in area ponds, lakes and streams, including Largemouth Bass, Red-breasted Bream, catfish, perch, and sunfish.